Found in the woods under conifers. Fairly large in size. Stains Amber. This is a rather large short and stocky mushroom. Many sources list this as an excellent edible, while a few others state that it can cause severe gastrointestinal upset in some people. 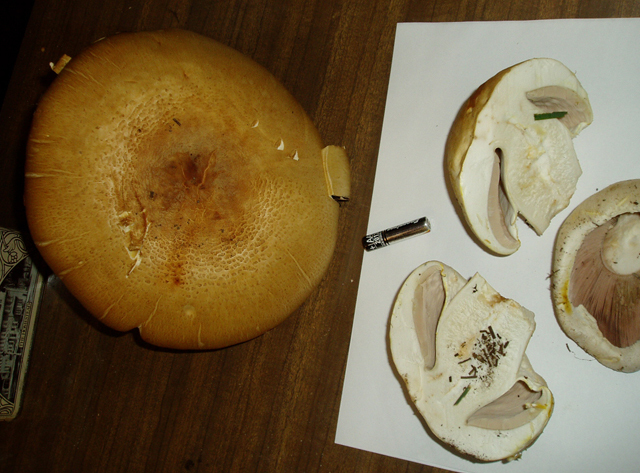 There are several Agaricus which fit this description. There may be several different species.